I spotted the above picture whilst rooting for scrapyard images on Flickr. The picture has been lifted from the beautiful and fascinating stream of local photographer littleredglass. 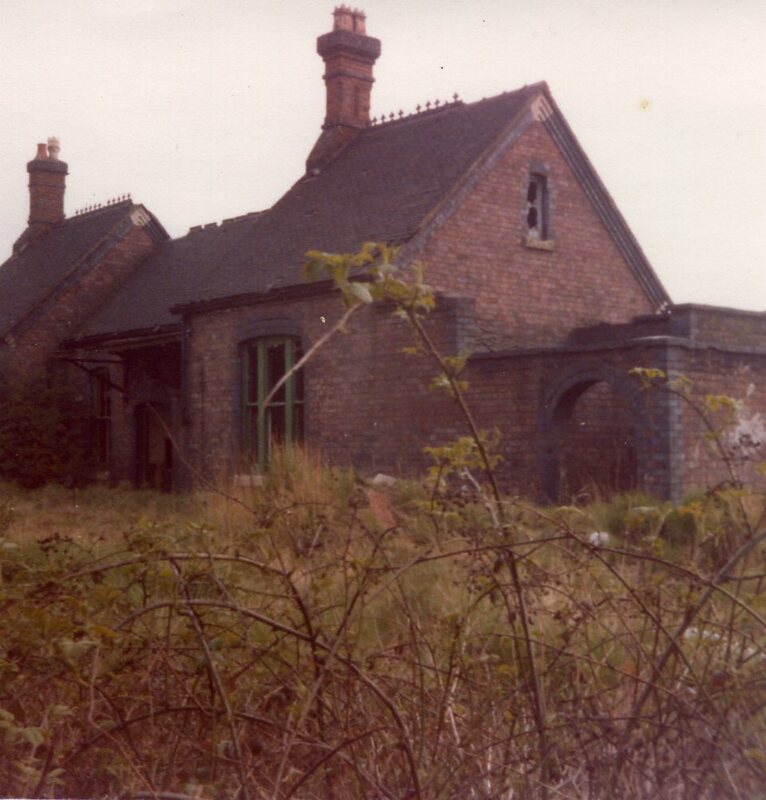 I would imagine this was shortly before demolition, as far as I can recall, the station, closed in the thirties to passengers, was gone by 1978. The reason this popped up is because there was, by several accounts (including one by [Howmuch?] who’s always bang on with that stuff), a scrapyard near to the old station on Coppice Road during the 50’s and 60’s, possibly called Heaths. I can’t find any pictures or recollections of it. As an incidental aside, I also looked for evidence of the war-scrap operation Ralph Ferrie had up by the Fox Covey on the Walsall Wood/Aldridge border, but could find no record of that either. I spent time up at the Covey, like many local young lads, rooting for bullets, often with quite marked success. Anyone got anything on either of those at all? This entry was posted in Brownhills stuff, Environment, Followups, Interesting photos, Local History, Shared media, Shared memories, Spotted whilst browsing the web, Walsall Wood stuff and tagged Aldrdge, Brownhills, Brownhills local history, Cheap tat, Derelict, Fox covey, Heath's scrapyard, Leighswood, Littleredglass, Local History, New Photos, Ralph Ferrie, Walsall Wood, Walsall Wood station, war scrap. Bookmark the permalink. I’ve found that photo before, and there’s some great shots in that stream- some nice shots of the remains of Shannon’s mill. Presumably the scrapyard was where the flats are now, previously Ken Hodges’ builders merchants, or at least behind it. I’m sure I’ve read online that the station buildings were used for storage by a scrapyard, but that was a couple of years ago, and I can’t find it now. Hodges was certainly nearby in the early 70s: my auntie’s car spent several weeks there after a terminal breakdown in the early-to-mid 70s. Wow…could barely tear myself away from that link..! Thats a great site full of very interesting information and pictures. Thanks..
Hello Bob & readers of the blog. when the railway track flooded mr Heath would cut the roof of some cars and we would turn them over and use them as boats, and coal shovels as paddles.